By Michelle Lombana, College Swimming Guide. Do you want to swim in college? Does your child want to swim in college? These are questions every year-round swimmer and their parents are asked frequently throughout high school. Most are not sure of the answer themselves! It is easy to get carried along into the recruiting process without analyzing whether it’s the right choice. There are many things to think about before making a decision, and I have outlined five of them below. Does Your Swimmer Want to Take On The Commitment Of Swimming In College? Year-round swimmers are used to commitment! They know what 5 am practices before classes are and training doubles over winter break. They are familiar with missing the high school football conference championship game because they have swim practice. They have even gone to prom smelling faintly of chlorine. However, these events can take on a different aspect in college. If your school makes it to the Sweet 16 during March Madness and your swimmer cannot travel to the game because it conflicts with NCAA championships, will that bother him? Many swimmers would say “Are you kidding? If I make NCAA’s, nothing else matters!” If your mom, grandma and all of your aunts were a member of a particular sorority and your swimmer grew up being groomed to pledge there, too, can she give up that legacy to swim in college? Swimming is a fraternity all its own! Think about whether your child would rather hang out in a swimsuit or sweats with damp hair or a Lily Pulitzer dress most days. Most students are excited about the long winter break – in the typical college calendar, it is usually anywhere from 3-6 weeks long depending on the school and the geographic location. It is a chance to sleep after first semester finals, reconnect with family, sleep, hang out with high school friends, sleep, work to earn money for the next semester, and sleep. Did I mention sleep? However, swimmers train over break and many colleges take a winter training trip to an exotic location over break. Your swimmer may only get to go home for a few days or up to 2 weeks at the most. On the other hand, he may welcome the opportunity to go to Puerto Rico in early January even if he has to swim twice a day while he is there! All of these examples are unique to each individual swimmer and the level of commitment varies by college as well. 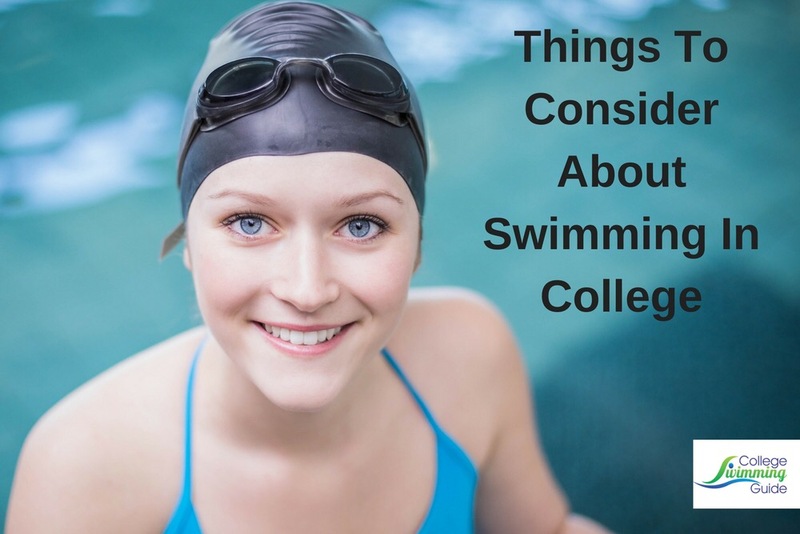 There are certainly no right or wrong answers, but they are factors to consider when thinking about whether or not to swim in college. Does Your Swimmer Need Swimming To Get Into His Dream School? In some cases, swimming can help gain admission to a school where the student does not quite meet the academic standards. There are limits though – if a student has a 2.5 and the average entrance GPA is a 3.9, it is not likely to be enough to get in. Coaches are often allotted a certain number of athletes that they can “help” through the admissions process. They prefer to recruit athletes who meet the standards on their own to limit their use of these exceptions or to save them for the very fastest athletes. If your swimmer fits in near the top end of the times of the swimmers and his academic standards are close, swimming may give him that extra push. A school may be a dream school for a variety of reasons – location, a special program, etc. If your swimmer needs to use swimming to be admitted, make sure he is selecting the school for the right reasons. If your swimmer loves Colorado and has always wanted to go to school near the ski slopes, but is a liberal arts type of student, swimming for the Colorado School of Mines which specializes in engineering may not be a good choice. On the other hand, if he has always dreamed of studying theater in New York City at NYU and is slightly below the admissions standards, swimming for NYU might be a perfect opportunity. Will Your Child’s Grades Suffer? If your swimmer’s goal is to attend professional school after graduation, be sure she can earn good grades while also swimming. Many colleges, especially Division I programs, offer academic support and tutoring for athletes which actually make it easier to keep grades up. In addition, most swimmers are used to juggling a grueling practice schedule with schoolwork and are typically very adept at time management. This serves them well in college and many former college swimmers say their grades were higher in season than out of season! A lot of non-athletes who do not have the same challenges struggle with time management when they get to college due to lack of experience and/or self-discipline. However, even with academic support and tutoring, swim practice takes a lot of time. If your child’s major is so difficult that she needs to study 12 hours per day, she may simply not have the time to devote to swimming. The other possibility is to choose a school that has a strong program in her major, but is perhaps not top-tier and not quite as difficult. This may allow her to swim and still earn good grades. Unfortunately, out of all of the considerations regarding swimming in college, this one is the hardest to gauge beforehand. Current students at the school in the major may be able to offer advice. Your swimmer should also talk to swimmers on the team, preferably in her major, to get an idea of the time commitments of each. Will Your Child Want to Hang Out With His Teammates for Four Years? Teammates are built-in friends and companions immediately upon arriving on campus. This can make it easy to get acclimated quickly and takes some of the apprehension away from going to a new place. Because your swimmer spends so much time with his teammates, it does not always leave a lot of time to participate in other extracurricular activities and to meet other friends. When your swimmer takes recruiting visits to colleges, he needs to be sure he is comfortable with the majority of the team and that he will want to hang out with them for the next four years. My son put a lot of emphasis on this when he went on official visits. In one case, he was sure he would like a particular school because they looked great on paper. However, outside of swimming, all of the potential teammates he met there had totally different interests. When he visited the team he eventually committed to, he felt totally at home with the other swimmers and knew he could be happy hanging out with them. At most schools, swimmers are roommates in freshman dorms then move off campus together in later years. These are the people your swimmer will train with, celebrate with and cry with. He wants to enjoy their company! Can Your Swimmer’s Body Hold Up For Four More Years Of Swimming? If your swimmer has experienced overuse injuries or other injuries, you may want to consider whether swimming in college will put undue strain on her body or cause additional injuries. This can be a painful (pun intended!) thing to consider but it is important to consider her health as an adult. Many Physical Therapists say “I am considering the 35-year-old athlete, not just the 18-year-old athlete” when making recommendations for exercises, treatment, etc. This is a good perspective for potential college athletes as well. Swimming in college can be a rewarding experience. Just make sure your child makes the decision to do so thoughtfully while considering all options. Some high school seniors pursue swimming in college while also applying to a couple of colleges as a back-up in case they do not find a school where they want to swim. This is an excellent way to keep options open while searching for the best fit. Michelle Lombana is committed to helping parents like her whose children want to swim in college. College Swimming Guide simplifies the recruiting process with timelines of action items, college and conference times to know where your swimmer fits best, email templates to send to coaches, lists of questions to ask coaches, and guidelines on researching colleges and programs. Visit www.collegeswimmingguide.com for more information and the summary of NCAA Recruiting Rules and NCAA Calendar for helpful dates. Also: How do the coaches relate to the swimmers, both in and out of the pool. The coaches are amongst the few “adults” who will have a 4 year relationship with your kid. Coaches are frequently the go-to person that swimmers identify as a helper with all sorts of problems and issues. 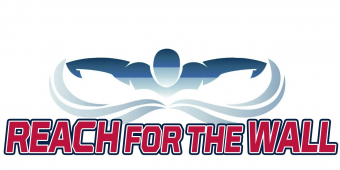 Do the coaches support the swimmers’ academic agenda? How do the swimmers’ graduation plans fit in with the coaches’ attitude? For many swimmers, DIII swimming may be a good fit. For most DIII teams, “school comes first,” and, although DIII schools cannot give athletic scholarships, many have great financial aid packages. Ask questions when visiting. Many DIII coaches can get “admissions points” for their recruits. Many DIII teams do not have an off-season training requirement, so other sports, extracurriculars, and study time can open up for the athlete who wants more breadth in their undergraduate experience.